Spend the day with Mom while admiring peaceful moments at Setsugekka. Setsugekka is the ideal teahouse to transport Mom to Japan without the plane ticket. Souheki Mori will hold a special tea ceremony, which includes a short lecture of Japanese tea ceremony, authentic tea ceremony on tatami mats, a bowl of hand whisking matcha, and freshly made Japanese confectionery. Moreover, you can get a portrait of Mom by Yukiko, a professional illustrator. She draws a portrait of your mom in black and white while Souheki is conducting the tea ceremony. 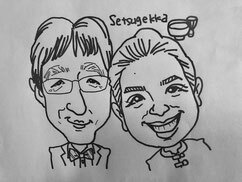 Why not showing your mom just how thankful you are for everything she's done over the years with a tranquil experience and one-of-a-kind portrait at Setsugekka. If your mom will not be able to attend the tea ceremony, Yukiko can also draw her portrait by a photo. This is an hour session of tea ceremony at Setsugekka. 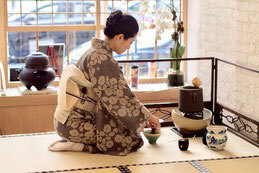 You will enjoy a bow of matcha and Japanese confectionery in a authentic tea ceremony style. During the tea ceremony, the artist, Yukiko will be drawing a portrait of your mom as a mother's day gift. Gratuities for the artist will be appreciated. $55 SOLD OUT. 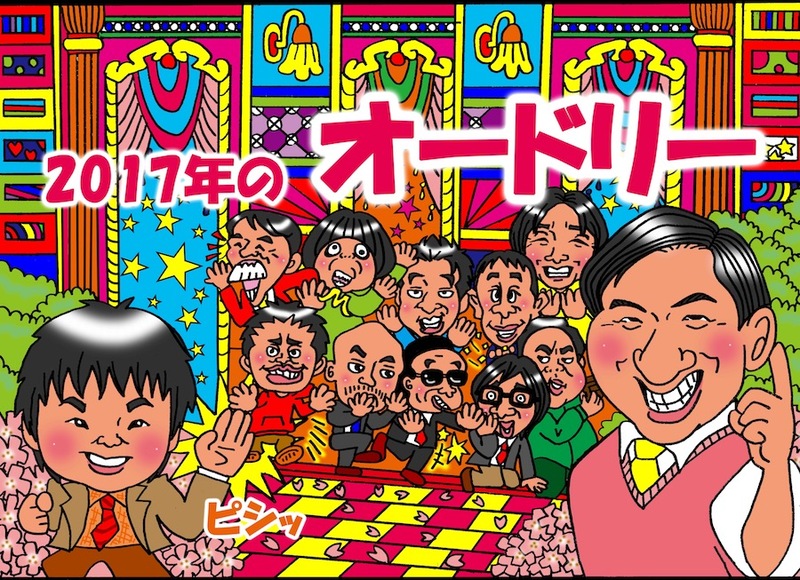 Thank you so much for joining! Born and raised in Mie, Japan and moved to New York in 2017. 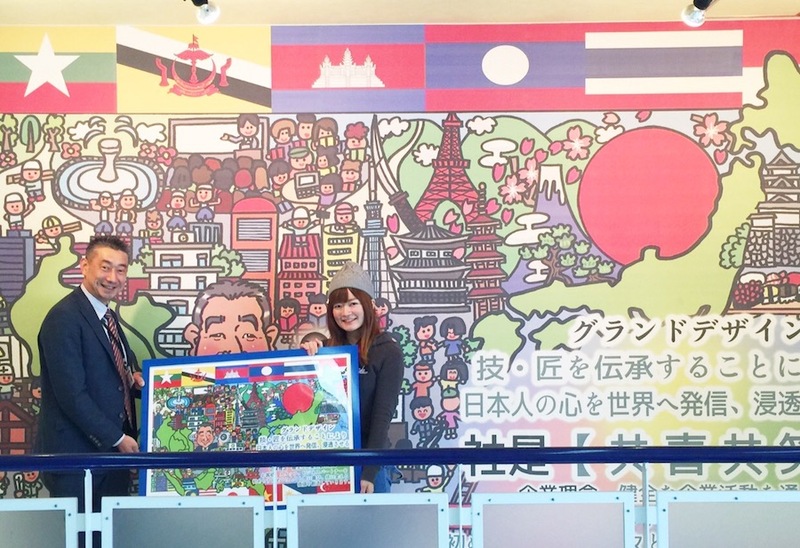 Yukiko is a professional illustrator and a vision board artist, who expresses the dream and the life goal of people. She listens to client’s dreams and supports to reach their goals by making it into an illustration. By her illustration, she reinforces the affirmations and helps people to keep on moving towards the goal. 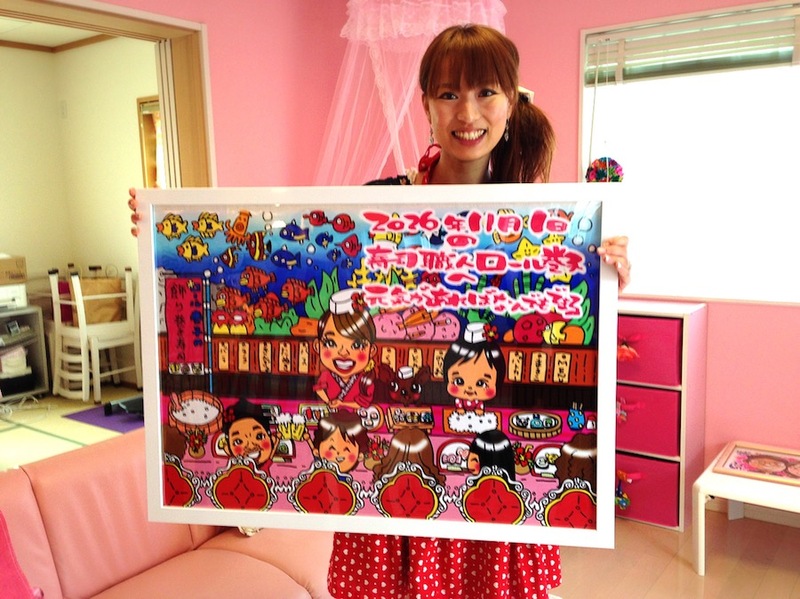 Yukiko named her unique style as “Vision Board Illustrations.” Her illustrations with the unique touch has became well known. 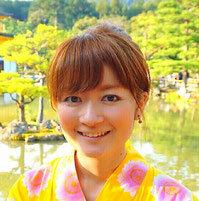 She is also active on TV and newspapers in Japan.